“Go talk to my aunt,” Hannah Frederickson said as she strode into the taproom of the Country Time Bar and Grill. Her bartender, Deacon Black, looked up with a puzzled expression on his pleasantly rough face. He was standing behind the bar cleaning shot glasses in anticipation of the regular Wednesday night crowd. Well, maybe “crowd” was too optimistic, but they usually had a pretty good turnout when the bowling leagues were playing next door at Murphy Lanes. “Go talk to my aunt,” Hannah repeated. She walked behind the bar, slid past Deacon, and headed for the bottle of whiskey sitting on a nearby shelf. Deacon narrowed his bright blue eyes and tossed the rag he’d been using on the bar. Hannah knocked back the shot, sputtered a little, and poured another. “Just go talk to her!” Hannah shouted. “All right, all right. Jeez.” Deacon turned and stalked down the short hallway to Hannah’s tiny office. Hannah chugged the second shot, then picked up his discarded rag and began to polish the top of the old wooden bar. She heard Deacon talking, his voice growing louder, and she polished faster. By the time he slammed back into the taproom, the oak bar gleamed as never before. Hell, she’d practically set the thing on fire. He walked up to stand beside her, and Hannah stopped her manic polishing to look at him. The expression on his face made her heart fall through the soles of her feet, down into the basement. Oh, God. It was real. Hannah’s knees gave out, and she sank to the floor behind the bar. It was clean, but she wouldn’t have noticed if she’d stuck to the vinyl. “Is Aunt Hildy okay?” she asked. Hannah nodded. That was nice. Deacon downed his whiskey. He did not sputter. “Decent of him.” Hannah dropped her face into her hands. Yeah. Because George was such a light-hearted trickster. “I got online while I was on the phone with Hildy. It looks like he left me fifty dollars,” she said into her hands. “Uh huh.” He paused. “Why?” His voice sounded strained. Of course, now she had a bigger issue to worry about than finding the time to write out a couple of checks. Oddly, when she finally looked at Deacon, he seemed relieved. She hadn’t thought there was anything below the basement, but she could feel her heart bouncing into a dark pit much further down. “A surety bond,” Deacon said. “If he was handling your cash, you made sure that he…was…” His voice trailed off when he saw her expression. They stared at each other in silence for a moment. Deacon squatted beside her, the material of his jeans stretching across his thighs. “Uncle George wasn’t bonded?” he asked carefully. “Why didn’t you make him get bonded?” Deacon shouted. Then, to her horror, she started to cry. Deep, gulping sobs. Before she could turn away or try to hide, Deacon heaved a sigh, sat on the floor next to her, and pulled her up against his chest. “Come on, now,” he said, stroking his hand down her back. “It’ll be okay,” Deacon said, as he held her tighter. His arms were strong and they felt good wrapped around her. 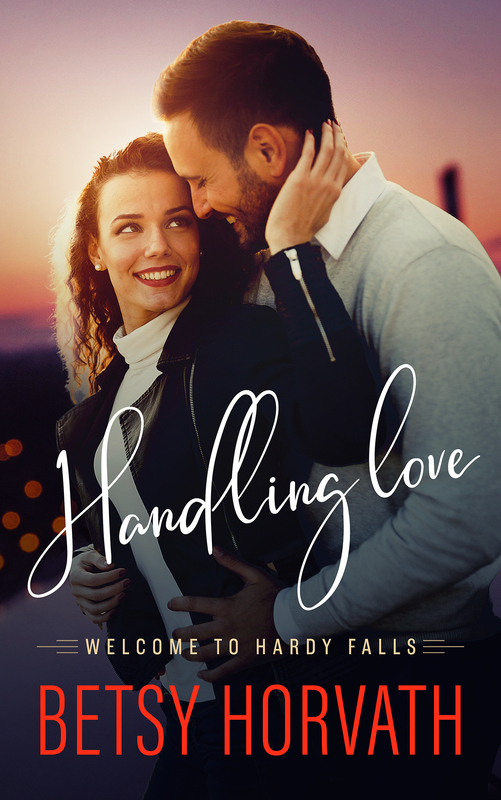 Without quite realizing what she was doing, Hannah found herself clinging to him, her fingers knotting in the soft fabric of his dark blue Country Time polo shirt. She hoped she wasn’t getting snot all over him. “All of my money is gone,” she sobbed. She couldn’t seem to stop crying. His chest was warm and broad, and he smelled good, and he was holding her, and he’d never done that before, not even when they’d known each other in high school. Of course, he was her employee now, so it wasn’t surprising he never held her. Employees didn’t usually go around holding their employers. It was probably weirding him out that she was crying all over him. She tried to get herself back under control. Sniffling, she pulled away. He let her go, and they looked at each other. Then he shoved to his feet, reached down, and helped her up. She stood, feeling suddenly awkward, and grabbed a tissue from the box behind the bar, blowing her nose as discreetly as possible. “Better?” Deacon had backed up a little, but he was still watching her with concern. He wasn’t exactly a handsome man, Hannah thought, considering him. He certainly wasn’t pretty like his brother, Sam. Yet somehow his face managed to be both hard and sympathetic, framed by receding brown hair kept so brutally short it was little more than stubble. His profile easily could have been stamped on an ancient Roman coin. “I guess,” she said, suddenly aware of the heat and hardness of his body in the confined space. When she’d known him in high school, before he’d left home at eighteen to join the army, he’d been young and…soft. The years between then and now, the traveling he’d done, the work on oil rigs and in construction, had added layers of solid muscle to his tall frame and some intriguing lines to his face. She’d heard him say he lifted weights regularly because he didn’t want to get a gut. Whatever he was doing, it really worked for him. They’d had a sharp increase in female customers since he’d started working at the Country Time. He was a drifter who wouldn’t stay in town forever, but while he was here he was a definite asset. Maybe she could get him to go shirtless while he was tending bar to try and attract more women. A vision of Deacon, shirtless, and maybe dancing and spinning bottles while he made drinks, flitted through her mind. “I know that, Deacon.” Just because she’d cried all over the man didn’t mean he had the right to treat her like she was a complete idiot. “I know that, too,” she muttered, wadding up the tissue and throwing it away. “I’m not completely stupid. I know I have to do that.” Her stomach jumped. George might be a thief, but he was still her uncle. It made her a little queasy to think about having her uncle arrested. Deacon could apparently read her mind. “You have to do this, Hannah,” he said. “I know.” Then she turned and left him before she broke down and cried all over him again. Back in her office, Hannah dropped into her chair and logged onto her online banking site to check her balance one more time. What if she’d made a mistake? What if she’d somehow opened the wrong account, and she still had all of her money, and Deacon was right, and that note from George was some kind of sick practical joke? It could happen. Nope, she thought, looking at the numbers. No joke. If only she’d made George get bonded. Then she’d have insurance. She sat up straighter, hope suddenly zinging through her. The Country Time carried liability insurance, right? Wasn’t there a clause in there somewhere about employees stealing? Wasn’t George basically an employee? Maybe she would be covered…? Fingers scrabbling across the desk, she grabbed the phone and called Chet Hinkle, the local insurance agent who’d been handling their policies forever. After what seemed to be an interminable length of time he was back, huffing slightly, as if moving from his chair had taken an effort. “For God’s sake, what?” He was killing her. Hope no longer zinged. “I guess,” she croaked. She hadn’t. She’d been too busy coping with her father’s death and trying to run the Country Time without quite enough staff. Maybe George would have mentioned it to her if George had been a better adviser. But it was pretty obvious now that he’d been following his own agenda. Chet must have shifted to the computer while she’d been absorbing the new blow he’d just delivered, because the sound of tapping keys had replaced the shuffling of paper in the background. Running her hands through her hair, she tried to think. Apparently insurance would not be riding to her rescue. Of course, maybe she should have actually looked at the insurance policies before now. Her next step was to call the bank to cut off Uncle George’s access to the Country Time’s checking account. On a whim, she asked the woman who’d answered the phone if they would replace her funds. Once the woman had stopped laughing, Hannah made an appointment to see a lending officer about reactivating a line of credit her father had taken out a few years ago. She hadn’t needed to use it since his death, but she was going to need it now. Big time. After the bank, she called Police Chief Jacqueline Kline to see what she had to do to have her late mother’s older brother arrested. Josie Kline, Chief Kline’s daughter and one of Hannah’s best friends since sixth grade, had always said her mother was scary protective when it came to people she cared about. So, Hannah wasn’t entirely surprised when the other woman said she’d be over in a few minutes to personally take her statement. Because the Country Time had just opened, Hannah asked the chief to come to the back door in the hopes of avoiding stirring up the customers. As promised, the other woman arrived fifteen minutes later, a young patrolman in tow. As soon as she stepped into the kitchen, she wrapped Hannah in a tight, motherly embrace before letting her go to study her face, her brown eyes serious. She led them to the office through a side door so they wouldn’t have to go into the taproom. But she knew her attempts at discretion had probably been a complete waste of time. Sure enough, when she relieved Deacon at the bar so he could go talk to the chief, she got enough speculative glances to assure her everyone knew something was up. At least June and Mary Alice, the two servers scheduled for the evening, weren’t there yet. Hannah did not look forward to telling June what had happened. The woman wouldn’t hesitate to let her know she’d been a complete dumbass. Then there was Grace, the other server. Kevin, her part-time cook. Jason, the second bartender. Billy, the dishwasher. God, what was she going to tell them? What could she tell them? Maybe she just wouldn’t tell them anything. Hannah considered that option while she drew a beer from one of the taps for a bowling league guy who’d come in early for a pre-game brew. She frowned into the mug as she filled it, ignoring the way the man watched her with ill-disguised curiosity. No. She had to tell the staff. Hell, at the rate things were going, they’d hear the gossip before they got to work. Deacon came back behind the bar and touched her shoulder without speaking. Hannah nodded in acknowledgment, gave the bowling league guy his beer, and went back to her office. Once Chief Kline and her officer were satisfied they’d gotten all of the information they needed for now, Hannah ushered them out through the kitchen. Thank God Kevin hadn’t been scheduled to work; it was still deserted. “What about Aunt Hildy?” Hannah asked, alarmed. “Wonderful.” Why the hell was she paying those monthly account fees if the bank wasn’t even looking at her account? “Yeah,” Hannah sighed. For all she knew, Uncle George had set up twenty false identities. “Thank you,” Hannah said, meaning it. Chief Kline chuckled and left. Hannah went back to her office, closed the door, and sat behind her desk, rubbing at the wicked throbbing in her temples. She considered calling Josie and getting it over with, but she just couldn’t face her friend. She checked her bank balance again, instead. And she was still screwed.